Having a piece of artwork commissioned can be a rewarding source of joy for art lovers. But for first-time clients, the process can be full of questions and unknowns. How much will it cost? How long will it take? How much say will I have in the final product? Though each artist’s method is different, these experts help peel away some of the mystery. Artist Mione Plant works on original pieces in her studio. 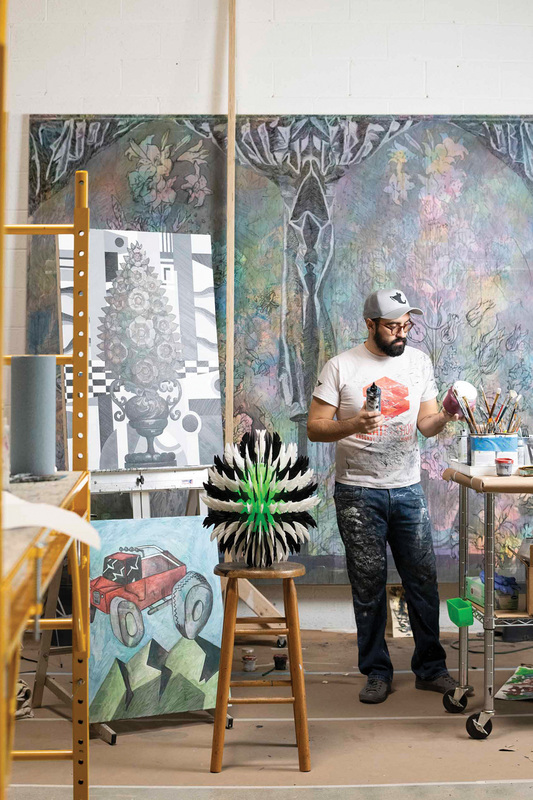 Artists like Francisco Moreno and Zeke Williams, whose bread and butter is not commission work, are choosier when taking on projects. “I only do commissions if I trust the person asking me and if the project fits in line with my interests,” Moreno says. He will provide the client with a digital mock-up created with 3D modeling and Photoshop. As always, the main key is communication: “Know what you want and express it,” Williams says. Artist Francisco Moreno crafts his current projects, including paintings, drawings, and three-dimensional works. Moreno is selective when choosing to take on a commissioned piece. But some artists like Allen Kirsch, who works directly through the Holly Hunt showroom, agree on a color palette and then assert complete independence. “The client needs to be completely open to the artist’s vision,” he says. How do you know if the commission is process for you? 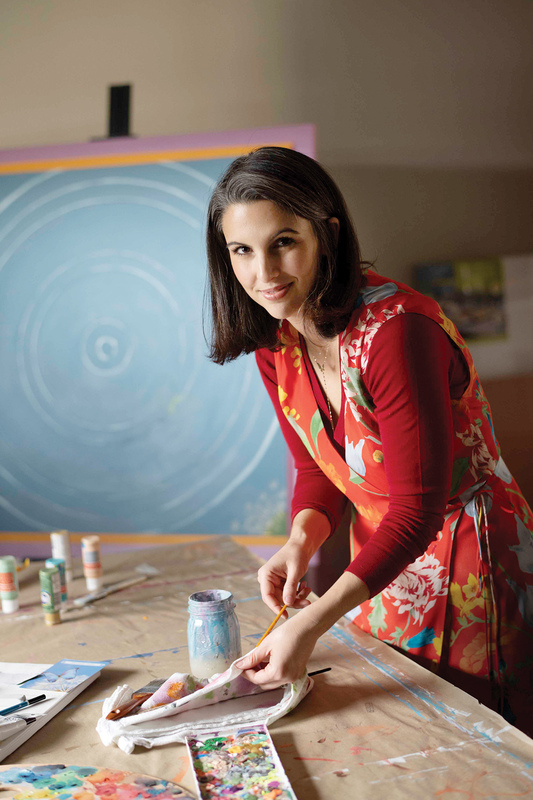 Client Laurel Stasey made the leap when she couldn’t find the right piece for a nursery. “Commercial prints felt mundane or close but not quite right,” she says. Scale can be another motivator, as it was for Emily Feldman and her husband, whose large entryway proved a challenge to adequately fill. “You don’t always find what you want out there, or the scale might be too big for the room,” Feldman says. Christopher Huffman, gallery manager at Maestri Gallery, likes to start with size when a client is pursuing a commissioned piece. “Then we facilitate communication between the client and the artist,” he says. They start with a site visit for the artist to the client’s home and follow up with progress photos once the artist begins work. Keep your mind open. “Be open to suggestions and ideas, but if an artist wants your feedback, definitely tell them your thoughts,” says client Emily Feldman. Expect to pay about a 50 percent deposit on your piece. “Get the artist to tell you up front what the price is,” Fenimore says. Know that the level of detail will impact price. “Some [work] is really labor intensive and some is not. It depends on the medium,” says designer Sarah Hargrave. Don’t go matchy-matchy. 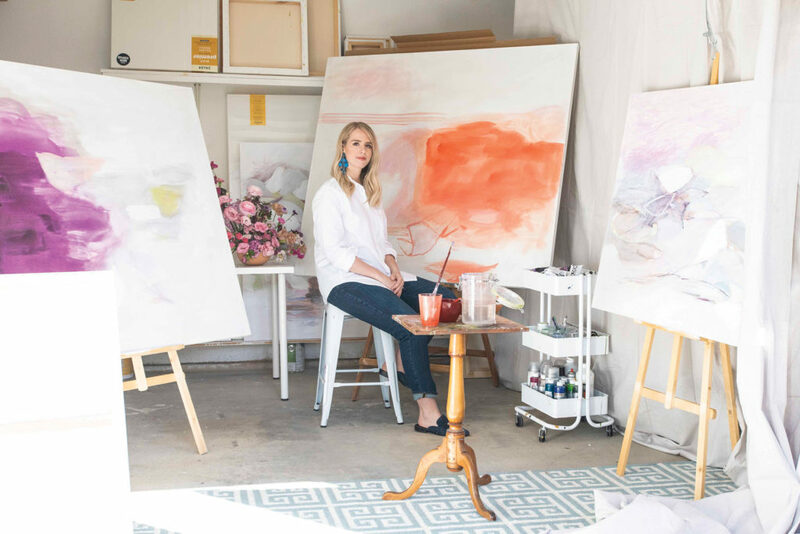 “Commissioned pieces are great for helping a client break free from self-inflicted rules that art tends to abide by,” says designer Mikee Smythe. Ask the artist for his or her markup percentage. Some don’t mark up commissions at all or only have a 10 percent increase. “Art doesn’t have to break the bank,” says Smythe. Each case is different, but expect about an eight- to 12-week production process. “Set up open communication with the artist,” says gallery manager Christopher Huffman.